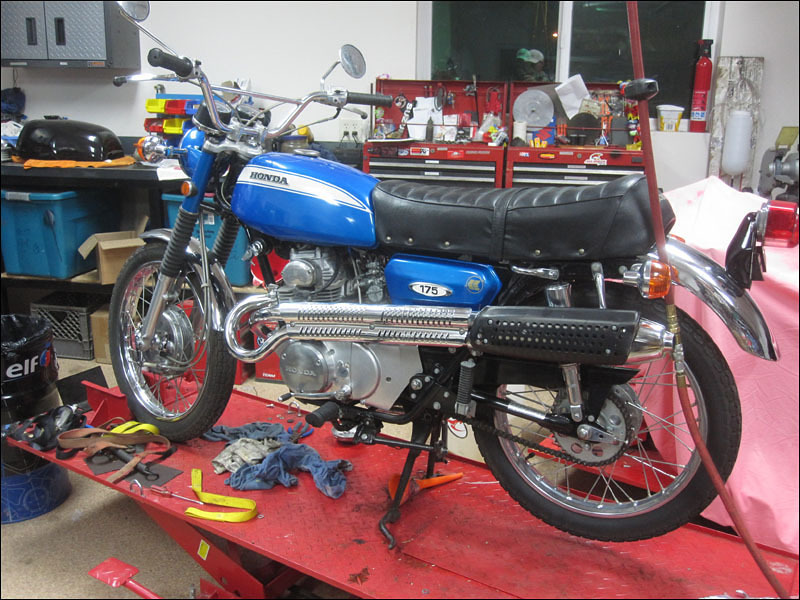 This bike was rescued from an auction. It was acquired for so little $ it makes me laugh. Bike is flawless original with everything including the complete original tool kit. Amazing. 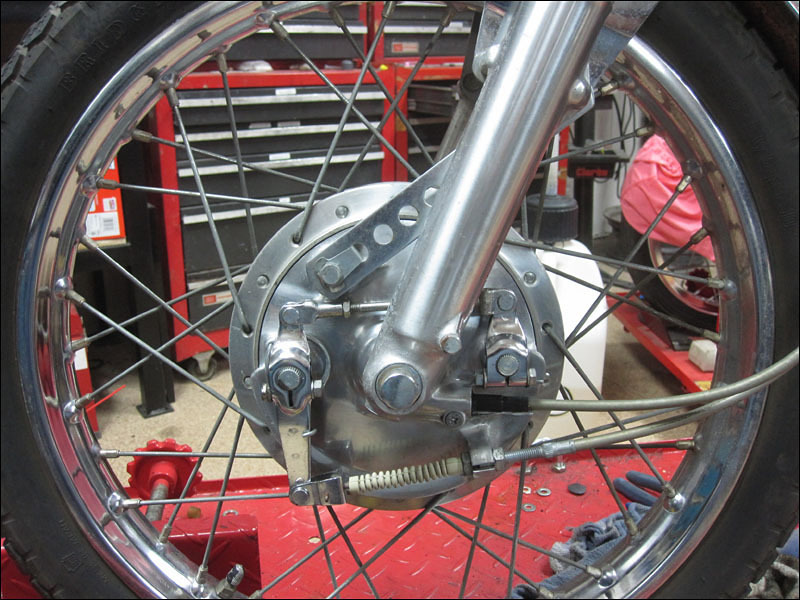 Dual cam front drum brake. This was the hot technology of the day. Not many motorcycles have such high performance tech. Tires, stock and ready for more ridin! We can trust these old Bridgestones can't we? 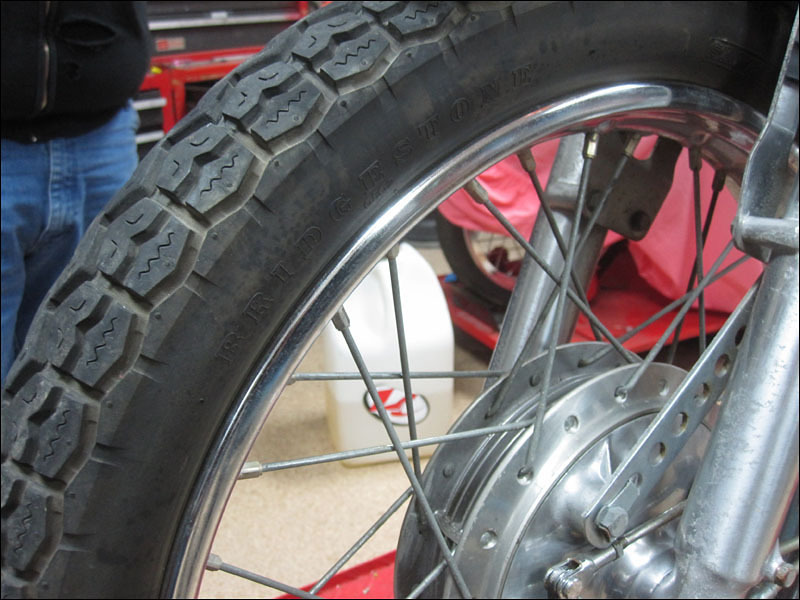 If we could replace them with some new ones that have this same classic tread we would. Unbelievable shape. Nice purchase. Do you think this was previously restored? I'd expect at least some dust after 4849 miles, but I don't see any dust. Was the bike stored in a bedroom? 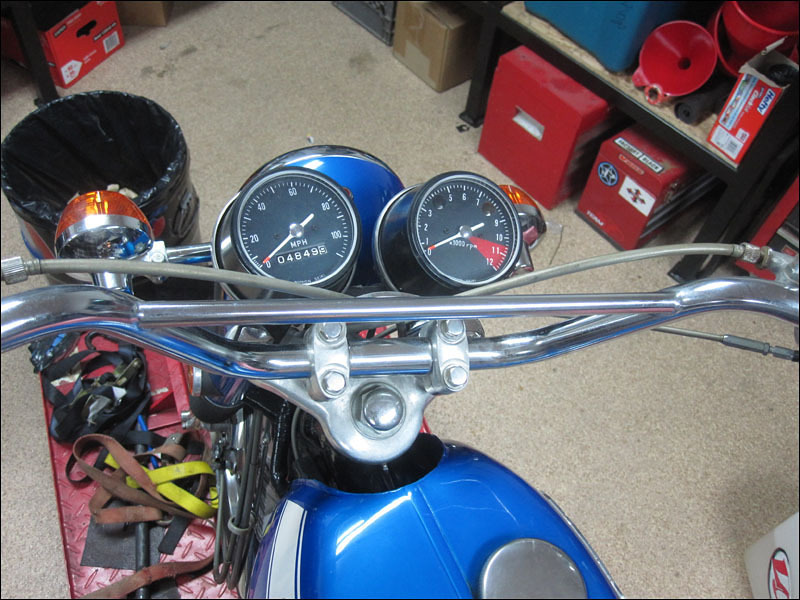 Quite a few similarities with my CB175. It's a great little bike, and I've put about 400 miles on her since the restoration completed in July. This baby is all original. Joe spent the weekend cleaning it up but it was just babied by the original owner. We just laugh and stand amazed at how flawless this bike is! Both these 175 engines really rev don't they? Sheesh it makes you cringe when you open the throttle up to 10,000 rpm. They called it the Screamin' Deamon back in the good ol'days. 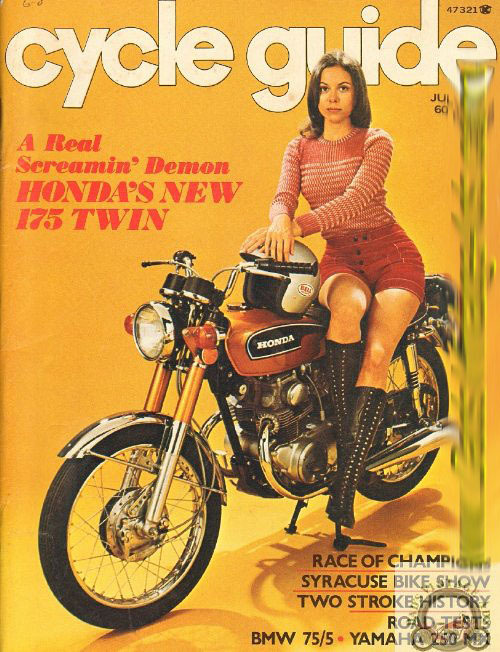 Ha, the bike on the magazine cover looks like my CB175. I knew you would like that one!